Are you a football fan? These days, if you aren’t watching the game, then you’re missing out. In 2015, four of the five most watched programs in the entire year were related to football. For perspective, fifty million people tuned in to watch the Super Bowl. Of course, the popularity of football leads to some big questions for cruisers. Can I watch football on a cruise? Do cruise ships offer ESPN and other popular stations? How can I watch my local football team on the ship? When it comes to football, we know it’s almost a religion. That’s why we’ve put together this guide to watching the NFL when you’re on your vacation. Our coverage will start with the biggest games each week, down to how to watch your local team play. These days, NBC’s Sunday night game is the biggest of the week. It typically features a nationally important game with two of the best teams in the league. It’s also the most-watched game each Sunday. If you want to watch Sunday Night Football on your cruise, have no fear. This major weekly game will be shown somewhere on the ship. It’s just a question of where. For major games like this one (or playoffs and the Super Bowl), the ship’s bars will always have the game up. Most cruise lines will also play the game on the outdoor screen in the pool area. Pull up a chair, relax, and watch in comfort. You may or may not be able to watch Sunday Night Football in your cabin. Some cruise lines don’t offer NBC on their channel listings, or only offer it when the ship is able to receive a signal via satellite or antenna. 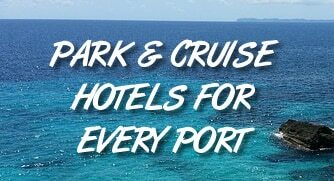 This means there is a good chance you won’t be able to watch in your room unless there is a signal and the cruise line feeds the game to the cabin TVs. Since moving to ESPN, Monday Night Football has actually become easier to watch on the ship. Every cruise line will have a feed of ESPN (usually ESPN International), which will show the Monday night game. However, the game is not always broadcast in your stateroom. Of the major cruise lines, Royal Caribbean, Norwegian, Disney and Princess all offer ESPN in their staterooms. Notably absent is Carnival. At this time, the cruise line doesn’t offer ESPN in staterooms. That said, all the cruise lines will have an ESPN feed that will show the game in sports bars and sometimes on the large outdoor pool screen (if equipped). When it comes to Thursday night games, it can be a little tough to know if you can watch or not on a cruise. That’s because the game switches stations regularly between NBC, CBS, and NFL Network. In addition, for the 2016 season games will also be livestreamed via Twitter. Let’s take this one step at a time. If the Thursday night game is being broadcast on CBS or NBC, then the same rules apply as the Sunday night game. Games are unlikely to be broadcast to your cabin unless you cruise ship offers CBS/NBC broadcasts (most don’t). No cruise lines that we know of offer NFL Network. However, the ship will have a feed of the game that will be shown in the ship’s bars and likely the poolside theater. So if you want to watch the game you will definitely be able to, just not with your feet propped up in your cabin. With Twitter now livestreaming 10 Thursday night games globally around the world, it does offer a convenient option to watch in cabin if you have a laptop, tablet or other internet-connected device… and a cruise ship that allows streaming. For example, Carnival’s internet policy explicitly states that “Video streaming sites such as Hulu and Netflix are blocked.” There is no word yet on if Twitter streaming is allowed. Royal Caribbean’s Voom internet service does offer streaming services like Netflix (and presumably Twitter). If your favorite team plays a regular Sunday game (not a nationally broadcast game), then you’ll have the most difficulty watching them play on a cruise ship. The cruise line will definitely be broadcasting football throughout the ship’s bars and likely on the outdoor movie screen during Sunday afternoon, but will be subject to availability of the satellite feed. So if your team is only one game of a multi-game regional feed, you’ll have to get lucky that their game is the one featured aboard the ship. You are unlikely to receive the Sunday local games in your cabin unless you are on a cruise line that offers FOX/CBS (like Carnival) and receiving a broadcast feed. What About Streaming NFL Games Via Sling, Time Warner App, or Playstation Vue on a Cruise? It’s an exciting time in television in that you can barely call it TV anymore. Now people are streaming to all sort of devices, using all sorts of service. These allow you to take your shows with you anywhere you go and watch them on your phone, tablet, or computer. There are a couple of issues with these services and watching them on a cruise. First is the internet connection while at sea. Cruise lines have offered notoriously slow service for years. Now they are beginning to get with the times, but many still lag behind. For example, some cruise lines offer service only by the minute. Other still block streaming services, will kills any hope of streaming an NFL game to your device. The one exception at this time is Royal Caribbean’s Voom service, which does allow streaming. While wi-fi on board the ship is an issue, it’s not the only one. Many streaming apps have location filters on them, meaning that if you are connecting from a place outside of the United States, then you will be blocked from accessing your subscription. This puts a major hitch in trying to connect aboard a cruise to watch football when the ship is in international waters. The bottom line at this point is that if you want to watch a big NFL game — that means one that is nationally broadcast — then you will have no trouble watching in one of the ship’s bars. You may or may not be able to watch in your cabin. Local, regionally broadcast games are less likely to be seen, but may be shown aboard the cruise if you’re lucky. Princess has ESPN in its staterooms which is great if you like soccer. Soccer 24/7. I have never seen a football, baseball or basketball game on ESPN while on Princess (25+ cruises with them). You are on that ship for one thing: to spend money in the shops, gamble money in the casino, drink, and, oh yeah, eat.